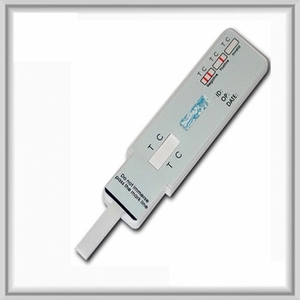 The Oxy-oxycodone drug test will detect the following drugs: Oxycontin, oxycodone, hydrocodone, and hydromorphone. Oxycodone and hydrocodone are the primary ingredients in many of the most commonly abused prescription drugs, including OxyContin, Roxicodone, Roxycodone, Vicodin, Percocet, Percodan, and Tylox. Oxycodone is abused for its opiate-like effects. Oxycodone, often called a narcotic, is an analgesic (pain reducer) which works by depressing the central nervous system. Oxycodone is abused for its opiate-like effects. In addition to its equal potency to morphine in analgesic effects, it is also equipotent to morphine in relieving abstinence symptoms from chronic opiate (heroin, morphine) use. For this reason, it is often used to alleviate or prevent the onset of opiate withdrawal by street users of heroin and methadone. Oxycodone comes as a liquid and tablet to take by mouth and can be habit forming.